Bay Area summer programs are invited to register for creative activities at the Children’s Creativity Museum! Check out our innovative two-hour programs. 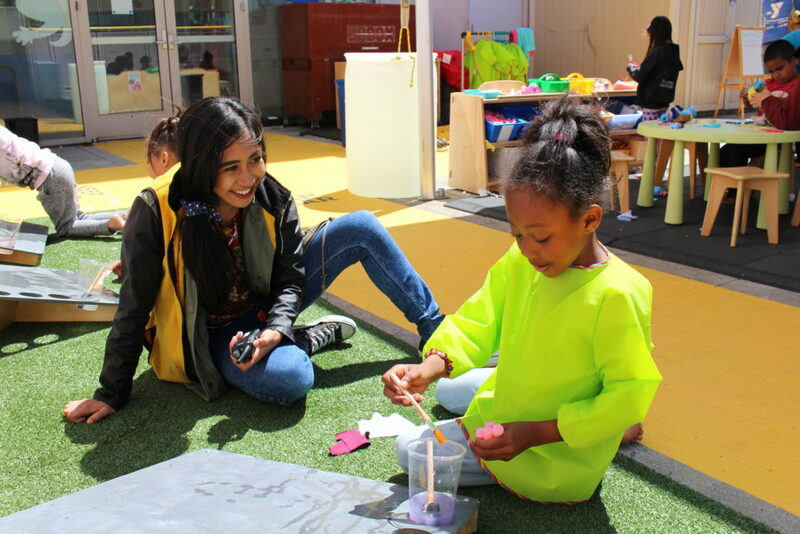 Junior Creative Workshops: Children in preschool – 2nd grade (ages 3-7) are invited to enjoy an hour of child-directed play in our Imagination Lab, followed by an hour of facilitated gravity-based activities and design challenges with a museum educator. Maximum of 40 children. Classic Creative Workshops: For youth in grades 3 – 12 (ages 8+), this Clay Animation workshop will immerse them in a world of movie-making and storytelling. Each participant will develop clay characters and bring them to life in a stop-motion animation. Maximum of 40 children. All groups must be divided into the appropriately-aged activities. Please be sure to indicate how many children per age group will be attending when you register. If different age groups are attending, there must be at least 10 children in each age group. The minimum number of chaperones is 2. We require 1 chaperone per 5 children. Proactive chaperones help facilitate the visit and keep your group together at all times. Museum staff cannot—at any time—be held responsible for any youth in your group.